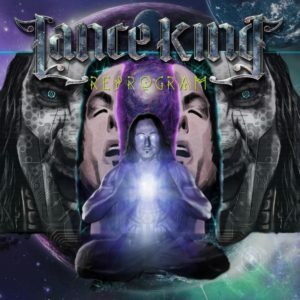 Iconic vocalist LANCE KING – the original voice behind Pyramaze, Avian, Balance of Power and Gemini – is set to release his second solo album, ReProgram, on March 29, 2019 via his own Nightmare Records. Featuring a powerful progressive metal style that he has fittingly dubbed “celestial metal”, ReProgram is available for pre-order/pre-save via Spotify, Amazon, and iTunes. ReProgram delivers stadium-worthy metal grooves topped with King’s epic vocal chops and heady content. Today, fans can get a second sample of ReProgram via a potent new track, “Pointing Fingers”. Watch/listen now, exclusively via Nightmare Records MEGALOUD YouTube channel, here. Fans can check out another new track from the album, entitled “Limitless”, here. ReProgram was co-produced by LANCE KING and renowned producer/guitarist Jacob Hansen (Volbeat, Evergrey, Epica, Amaranthe). The album features an array of established co-writers and talented featured performers, including Kim Olesen (Anubis Gate), Markus Sigfridsson (Darkwater/Harmony), Matt Hodsdon (Chaos Frame), Rich Hinks (Annihilator/Aeon Zen), Morten Gade Sørensen (Pyramaze/Anubis Gate), Fred Columbo (Spheric Universe Experience), Mattias IA Eklundh (Freak Kitchen), and Jakob Riis (L Wood Joy). Lyrically, the album explores themes including societal ills and the subjective nature of truth. Lance dives further into the human psyche than any rock performer in recent memory and this intellectual but soul-centered approach sets LANCE KING apart from his peers in the global metal community. There is a constant dissonance in our lives, and ReProgram looks to find harmony in the dissonant world that we have created. This is an album for the seekers of truth, for the ones who carry the fire and never let it die. LANCE KING is best-known to metal fans as the owner US-based metal label Nightmare Records and for singing with Danish/American power prog metal band Pyramaze from 2003 to 2007. 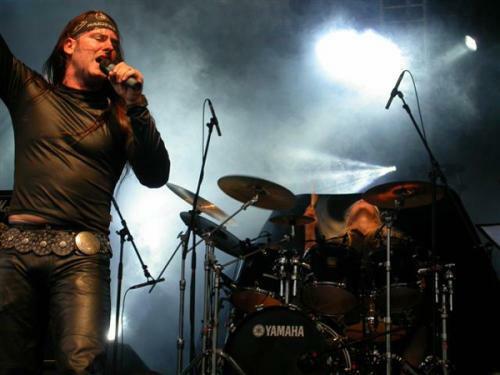 He was also part of the British/American prog power band Balance of Power from 1997 to 2003 and the American hair/prog power metal band Gemini from 1985 to 1993. He has worked with other labels as well, including Pony Canyon, Point Music, Massacre, King, Replica, Melodic Heaven, Metal Heaven, Avalon/Marquee, Toshiba/EMI, Rubicon, Advantage, Frontline Rock, Silent and CD Maximum.